What is the five-step sequential evaluation process for determining whether a claimant is disabled? What is Social Security’s five-step sequential evaluation process for determining whether an individual is disabled? If you are working in 2013 and your earnings average more than $1,040 a month, you generally cannot be considered disabled because you are considered to be engaging in Substantial Gainful Employment. If you are not working, SSA goes to Step 2. 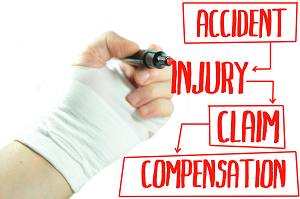 Your condition must interfere with basic work-related activities for your claim to be considered further. If it does not so interfere, Social Security will find that you are not disabled. If your condition does interfere with basic work-related activities, SSA goes to Step 3. For each of the major body systems, SSA maintains a list of medical conditions that are so severe they automatically qualify you for disability. If your condition is not on the list, Social Security has to decide if it is of equal severity to a medical condition that is on the list. If it is, SSA will find that you are disabled. If it is not, then SSA goes to Step 4. Certain cases that usually qualify for disability can be allowed as soon as the diagnosis is confirmed. Examples include acute leukemia, Lou Gehrig’s disease (ALS) and pancreatic cancer. Social Security uses sophisticated computer screening to identify cases with a high probability of allowance. If your condition is severe but not at the same or equal level of severity as a medical condition on the list, then Social Security must determine if it interferes with your ability to do the work you did previously. If it does not, your claim will be denied. If it does, Social Security proceeds to Step 5. Additional information about Step 4. If you cannot do the work you did in the past, Social Security will look see if you are able to adjust to other work. Social Security considers your medical conditions and your age, education, past work experience and any transferable skills you may have. If you cannot adjust to other work, your claim will be approved. If you can adjust to other work, your claim will be denied. Additional information about Step 5.